Driving Question: How can we show what we know about how our community works together? 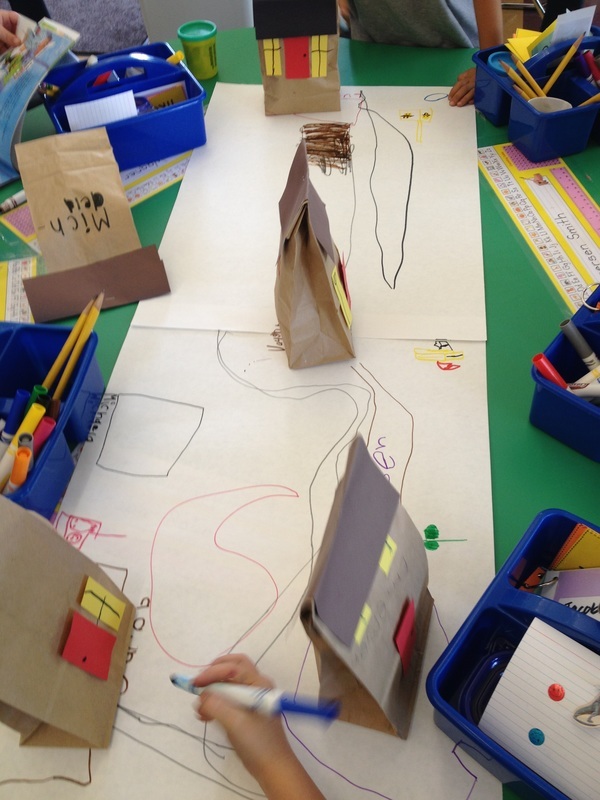 What we needed to know: Students studied the tools used by experts, interviewed experts, and explored maps. Students visited local places such as the market, and library. Our entry event stumped children when they were given "problems", and they had to use the community they were building to see if the community they had created had everything it needed. What we learned: By the end of the project students had created a 3D wall mural, and had placed each business they had created in a reasonable place. Above each business was a "talking bubble" created by the children explaining why businesses worked well together. The finishing touch was a short iMovie, which allowed students to share and show what they had learned using digital tools.